Warnings over card fraud in Leamington and Kenilworth. Residents are warned to beware after the return of courier telephone scams on Tuesday afternoon. 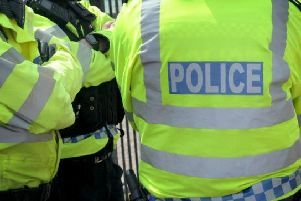 Warwickshire Police are warning of courier fraud scams after six incidents were reported across the towns in one hour. None of the victims were taken in by the fraudsters, but officers anticipate more attempts will be made. The same scam hit households across the district last month where typically, telephone callers claimed that a victim’s bank card has been used fraudulently. They then asked the card holder to contact their bank, but stayed on the line to obtain account details before offering to send a courier to collect the card which was then used to withdraw cash. Police officers have reminded residents to hang up immediately if they get a call similar to this and contact 999 if a crime is being committed. A spokesperson said: “Please share this message with any elderly friends and relatives.